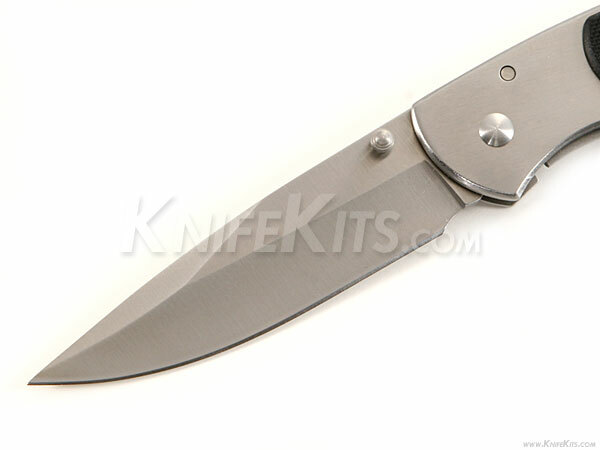 The newly redesigned "Bull Shark" is a high-quality framelock folding knife kit that offers excellent performance and style. 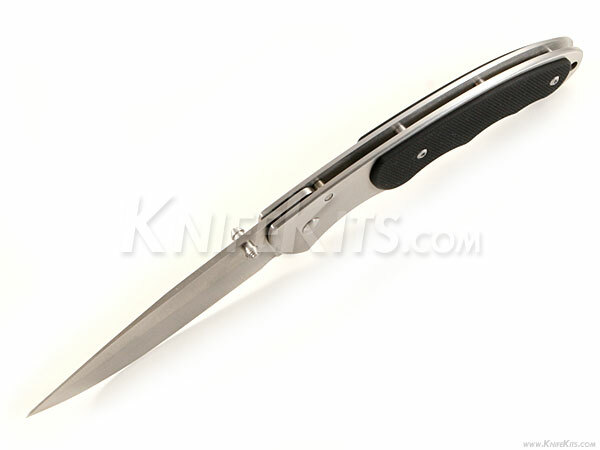 This design features a beautifully satin finished hollow ground blade with polished liners and premium assembly parts. 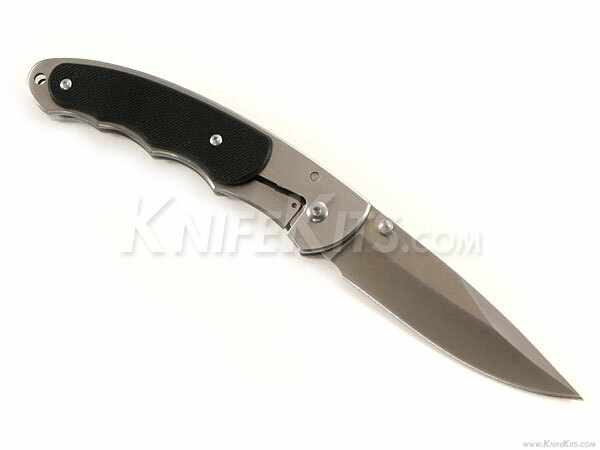 Properly built, one can easily exceed the quality and performance found on many high end production knives available today. 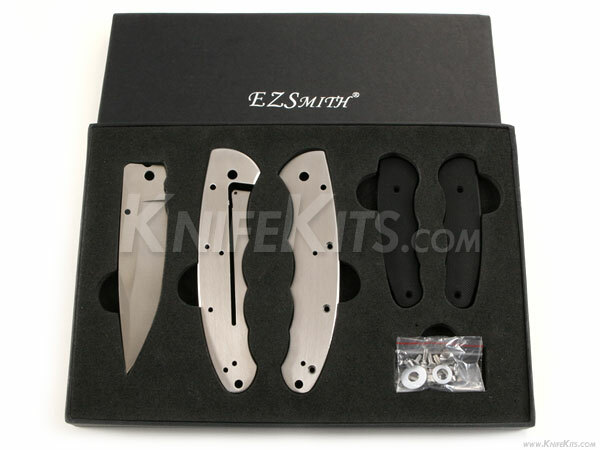 The modification options on this model are virtually limitless, as you can add filework, engraving, different handle treatments and much more. The base unit is designed to be easily assembled and does not require any additional parts for standard completion (see finished standard model photos). 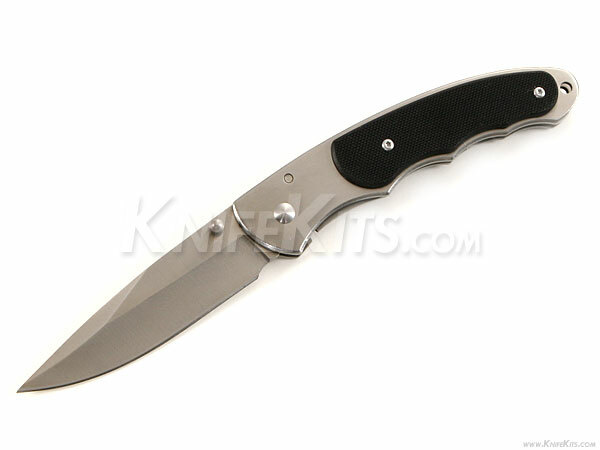 This kit knife is a modern, high-quality framelock pocket knife design and offers a great value in builder enjoyment and user performance. 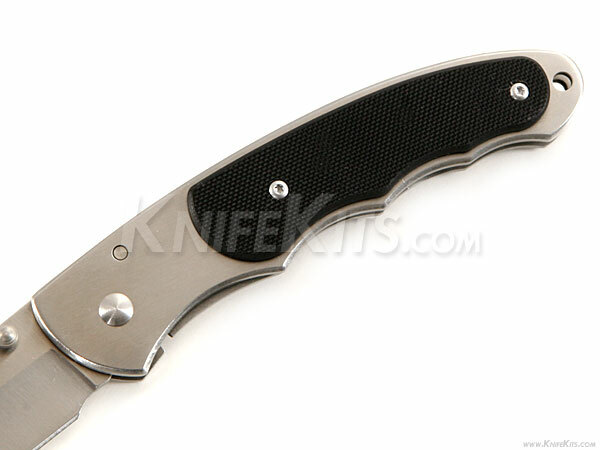 It comes sharp as a tack and will hold a great edge. 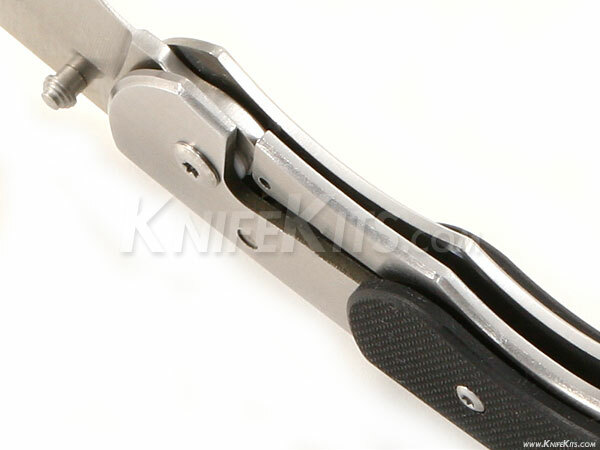 * Completed kit models displayed on this web site may be modified and are for display only!